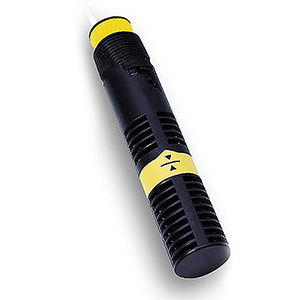 The LVV-110 Series unique vertical buoyancy sensors are technically the most advanced float available today. The filling baffle causes the float to be filled below the liquid surface, thereby eliminating the effects of surface tension. The self flushing design also encourages particulate matter to be purged through the baffles. The sensors are conveniently available in a reed switch. Standard cable length is 8 feet. Two extended cable lengths available. For 7.62 m (25'), add suffix "-25" to the model number, add $20 to price for PP, or add $75 to price for PVDF models. For 15.24 m (50'), add suffix "-50" to model number, add $40 to price for PP, or add $150 to price for PVDF models.